Home / Community / Monday, March 12: Eat out for ADFAC! Monday, March 12: Eat out for ADFAC! 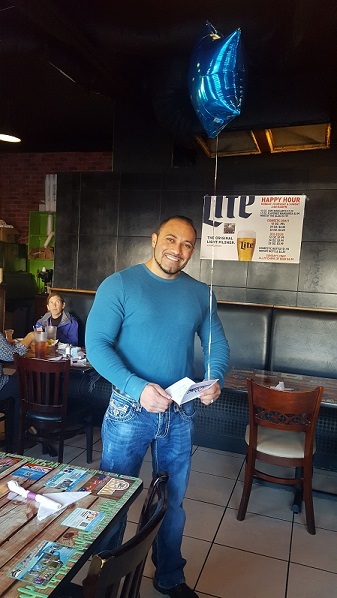 Cesar Ortiz, owner of Gallo Loco, invites you to celebrate Dine & Donate by eating out on Monday, March 12! Oak Ridge, TN (March 9, 2018) Did you know you can support a fantastic organization in our community just by EATING? Does it sound too good to be true? The second Monday of each month marks the Dine and Donate promotion for Aid to Distressed Families of Appalachian Counties (ADFAC). Several area restaurants have pledged to donate a portion of their sales for the day to support ADFAC’s important programs to promote self-sustainability for families in our area. The featured restaurant for March is Gallo Loco Mexican restaurant at 80 E. Tennessee Avenue in Oak Ridge. This cozy Mexican restaurant is regularly mentioned as a favorite by locals, and their friendly atmosphere can’t be beat! Stop by on Monday, March 12th, and find out for yourself why this spot will become one of your favorites, too! Other restaurants supporting ADFAC on Monday, and each month, are Burchfield’s, Dean’s, Hoskins, Mediterranean Delight, Outback Steakhouse, Razzleberry’s, Soup Kitchen, Subway locations in Clinton (both), west Oak Ridge (1968 Oak Ridge Turnpike), Oliver Springs, and Rocky Top. So many tasty opportunities to support a valued organization in our community! Several business and media sponsors have also stepped up to support Dine & Donate 2018, including the Oak Ridger, Leidos, CNS, UT-Battelle, and Randy Mcfarland – State Farm Agent. Aid to Distressed Families of Appalachian Counties (ADFAC), an independent non-profit agency established in 1987, exists to serve the basic needs of primarily low-income residents in Anderson and surrounding Appalachian counties. ADFAC’s goal is to help families become stable and self-sufficient through a variety of direct assistance services provided by its Social Services and Affordable Housing programs. ADFAC answers more than 6,000 requests for assistance each year.